The JobFLEX team is excited to announce that we’ll soon be releasing a quick and simple invoicing feature! Save time and get paid faster than ever with JobFLEX mobile invoicing. Go ahead and have a look at the new features. 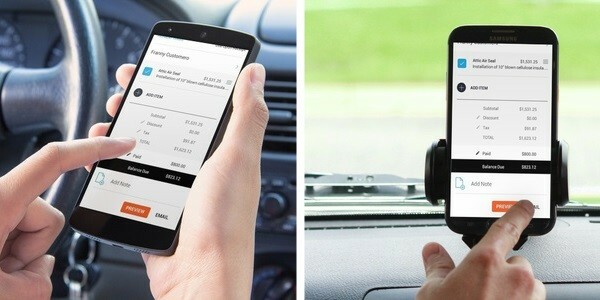 If you’ve never considered a mobile invoicing solution, it’s worth your while to have a look at the advantages. Never lose an address or waste time searching for the right paperwork to get an invoice together. Convert your estimate into an invoice in just seconds or create an invoice from scratch with a few taps. Invoice on the job, out to lunch, or even on the boat. Nothing is more frustrating as a customer than waiting and waiting on an invoice. When a client commits to getting work done on their home or business, they get excited to get started. Getting a polished, professional looking invoice to your customers right away shows them you’re serious about their project and are as excited to start it as they are. 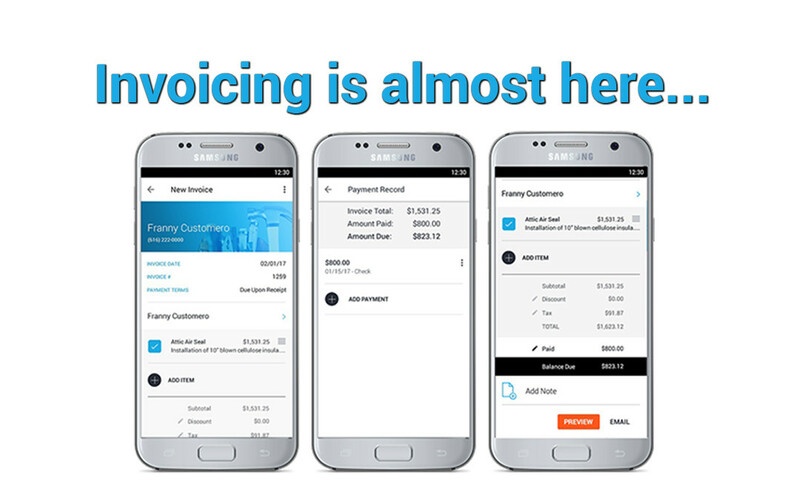 Every day you wait to invoice your clients is another day you’re waiting to get paid. With mobile invoicing solutions like JobFLEX, you can invoice right on the spot when a job is complete and your clients can pay you as soon as the invoice shows up. By recording payments in the app, you can also monitor which customers are paid in full and which still have outstanding balances – allowing you to follow up on unpaid invoices more efficiently. You won’t want to miss out on this. 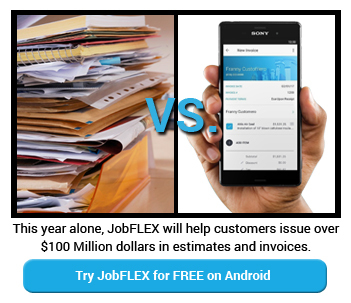 Using JobFLEX mobile invoicing is included in our free, Basic, and Pro subscriptions for no additional cost and it will help you save time and get paid faster. Stay tuned for our launch in just a few short days!